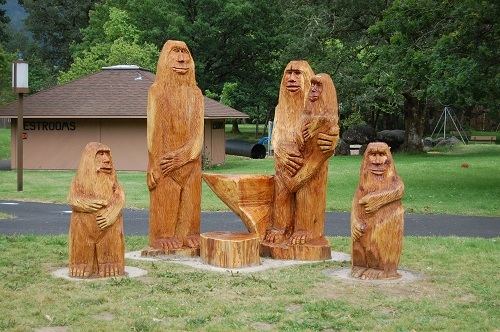 I’m back from the land of BigFoot sightings – Lewis County in Southwest Washington. We didn’t see any thing, but our nephew’s size 14’s. Nothing of the legendary BigFoot variety. 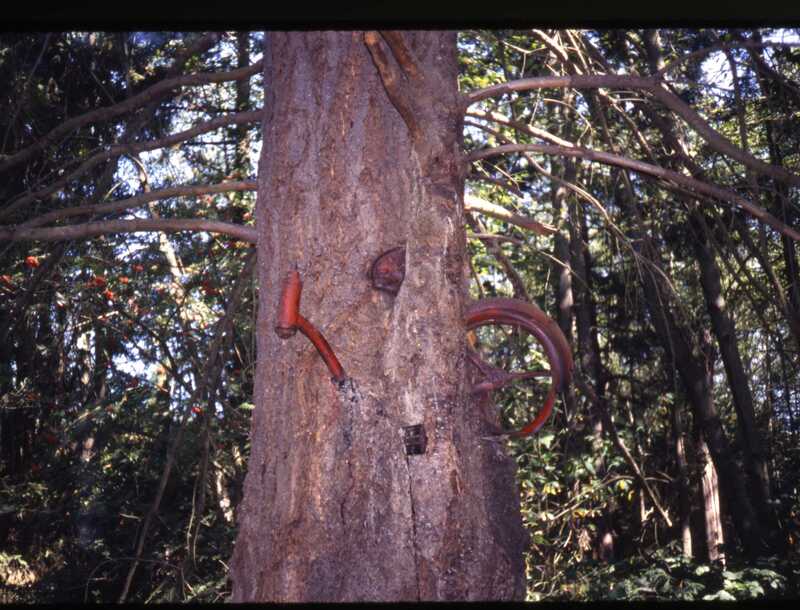 BigFoot, also known as Sasquatch, a giant ape-like creature, has been seen, heard and smelled in places like Mossyrock and Rainbow Falls in Lewis County. The BigFoot Field Researcher’s Organization (BFRO, www.bfro.net), a real scientific entity, has investigated many of these reports. The sighting I find most odd was one I saw on TV. A woman who lived in a cabin in Tennessee (yes, he gets around) claimed Sasquatch knocked on her door and asked to borrow some garlic. I guess he was cooking Italian that night. I’ll leave it up to you to decide whether or not Sasquatch is real or imagined. But since I didn’t find any evidence either way, I went on to take in some roadside attractions. I love the concept of people erecting things to attract travelers’ attention. Remember the old Burma Shave signs? On this trip I was able to find the Yard Bird’s statues and the world’s largest egg. In Chehalis two of the statues remain at the Yard Bird’s home improvement store. There used to be many more. 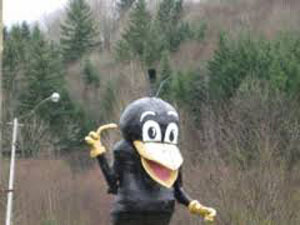 One, a gawky cartoon bird, 30 feet tall and at least 50 feet long; faces a main road. On a dark, dreary day this one didn’t photograph well, but its smaller counterpart at the front entrance did. 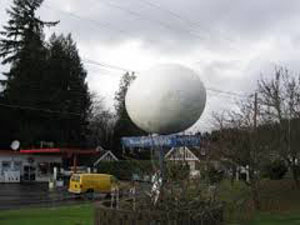 Currently the “World’s Largest Egg” (I’m sure there are probably larger eggs) is painted white, but at Easter it resembles an Easter egg and on the Fourth of July, it bears the stars and stripes of the American Flag. This town used to be a major producer of eggs, hence the mascot egg that is twelve feet long and weighs 1,200 pounds. Winlock also has an annual Egg Day celebration where egg salad sandwiches are given away. The town is located about three miles west of Interstate 5 off Exit 63 and on State Route 505. What is your favorite roadside attraction? 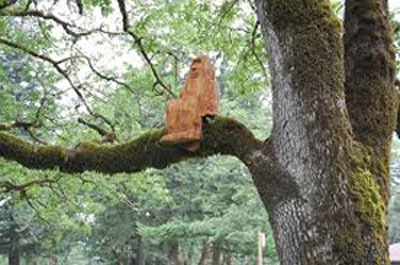 This entry was posted in Roadside Attractions, Towns and tagged Big Foot, BigFoot, Chehalis, Interstate 5, Lewis County, Mossyrock, Rainbow Falls, Sasquatch, Southwest Washington, statues, Winlock, World's Largest Egg, Yard Bird on December 22, 2010 by Heather Larson.